Mary is in her 70s and has chronic emphysema – but she is not terminal and does not qualify for hospice care. She has been to the ER several times for her illness and her family is concerned about her constant pain. There are thousands of patients that face this type of scenario everyday, if you are among them or know someone who is, below is some information that can help you to decide if palliative care is right for you. 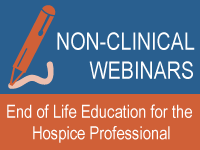 There are many benefits of palliative care (comfort care) for both patients and their families. Pain and symptom control: The palliative care team identifies sources of pain and discomfort. These may include problems with breathing, fatigue, depression, bowel/bladder or insomnia. The team will provide treatments that can offer relief, including medication, along with massage therapy or relaxation techniques. Communication and coordination: Palliative care teams are extremely good communicators. They put great importance on communication between you, your family and your doctors in order to ensure that your needs are fully met. These include establishing goals for your care, help with decision-making and coordination of care. Palliative care teams also can help families develop advance care plans, including healthcare directives. Emotional support: Palliative care focuses on the entire person, not just the illness. The team members caring for you will address any social, psychological, emotional or spiritual needs. During the initial consult, the palliative care team member goal is improve patient satisfaction. Family/caregiver support: Caregivers bear a great deal of stress too, so the palliative care team supports them as well. This focused attention helps ease some of the strain and can help you with your decision-making. After reading about the benefits for palliative care, here are some answers to common questions. Palliative care can be provided in a number of places. These include hospitals, outpatient clinics, long-term-care facilities or home. 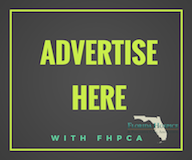 For information about palliative care and how it can help your family, contact Florida Hospice & Palliative Care Association to find out organizations offering palliative care services in your area. If you live in Pasco County, Florida – Pasco Palliative Care is available to help you and your loved ones. Please visit http://www.ghppc.org/ for more information. Gulfside Hospice & Pasco Palliative Care strives to ensure that every patient is cared for compassionately, comfortably and with dignity, and that every family receives the support they need during this difficult time. Gulfside Hospice is licensed by the state of Florida, is both Medicare and Medicaid certified. Visit www.ghppc.org for more information.